Domingos Leitão, Honeyguide's leader in Portugal and on the staff of SPEA (BirdLife Portugal) has sent news about Portugal's Atlas of Wintering and Migratory Birds; the reintroduction of ospreys in Portugal; a free app about Important Birds Areas in Portugal; and a birthday for SPEA. Read more on our Portugal news page. 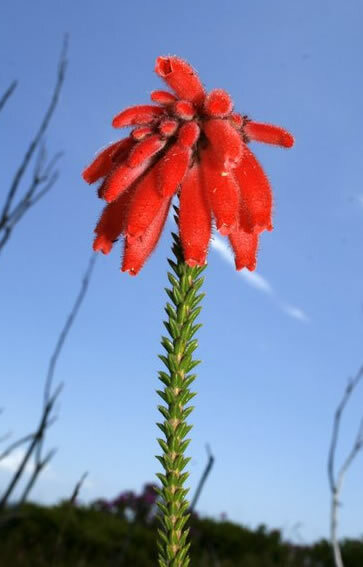 To come with Honeyguide to Portugal: more on our Central Portugal pages. 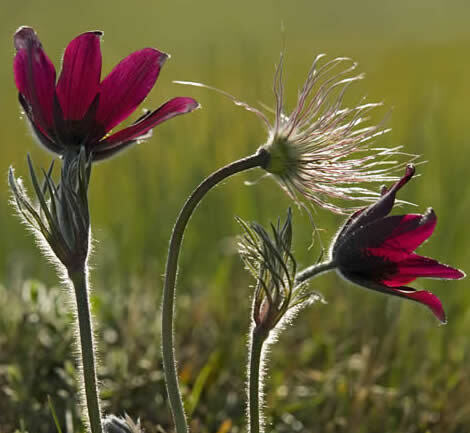 Text and photos about this 'flowery place' by Bob Gibbons, from his book Wildflower Wonders of the World. Autumn in Poland. Wonderful photos by Piotr Tałałaj. 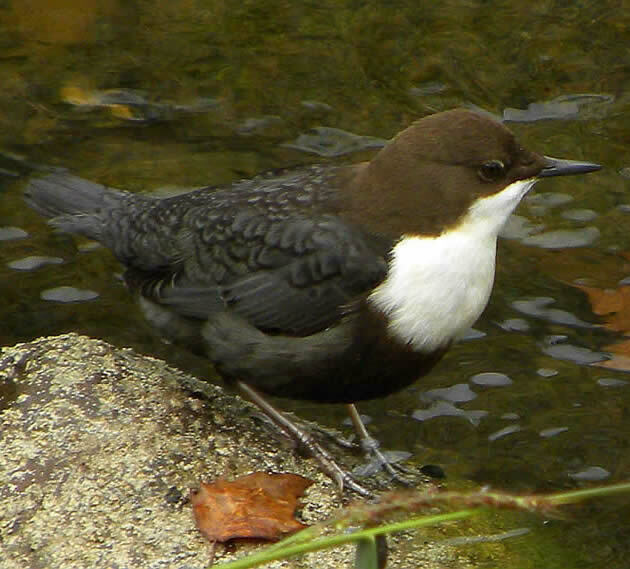 Honeyguide on Madeira: I was with the group on Madeira in the second week of November, and very good it was too. Birds were the usual fairly modest list, including the two endemics, trocaz pigeon and Madeira firecrest, and various sub-species. Less expected were what is likely to be the first accepted hen harrier record for Madeira [left, photo Madeira Wind Birds], a white-rumped sandpiper, the island's fourth [middle, digiscoped, with greenshank] and even a kingfisher, another vagrant. The boat trip was a highlight, out there in amongst a small raft of juvenile Cory's shearwaters [right]. More photos in the right hand column. 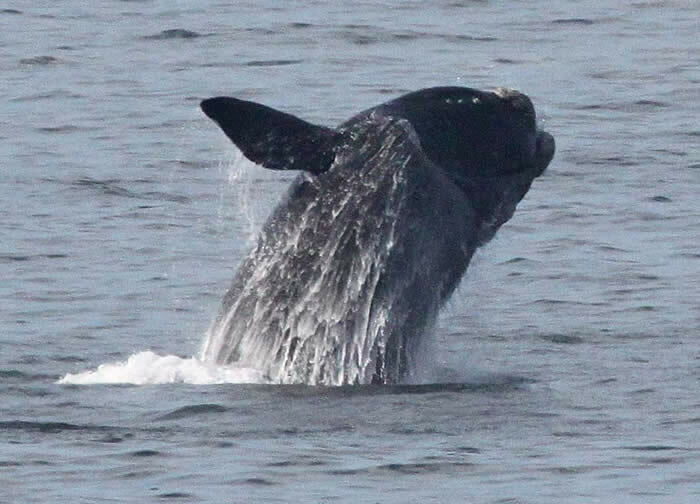 Our group has recently returned and, in the words of Honeyguiders John and Jan Croft, "It was truly magnificent. Geoff Crane was an excellent guide/tour host; leading us through the intricacies and beauty of the fynbos, the great landscapes, local history, and of course the birds and animals." Some of John & Jan's photos are below: more from the links here. 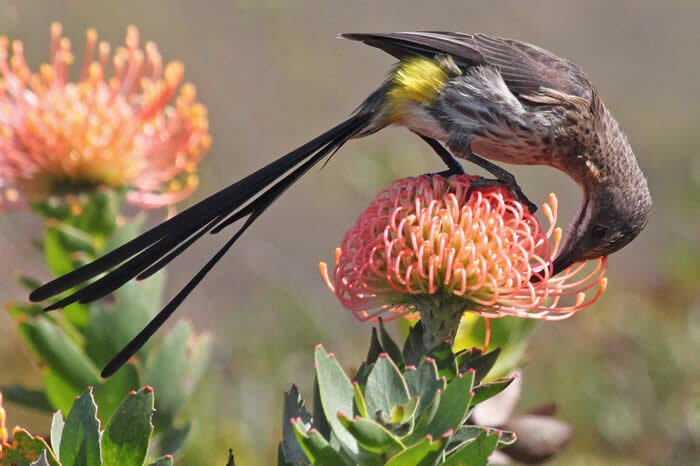 Sugarbird on pincushion protea; right whale breaching; sacred ibis (all by John & Jan Croft, photographed on the Honeyguide holiday in October 2011). Holiday report. Picos de Europa recce: towards the end of October I had an interesting recce visit with local leader Teresa Farino. It was far from the ideal time to go for a spring/summer destination, but the wildlife potential was clear and the autumn colours glorious, when the sun shone (it also rained!) Here are some photos of wildlife highlights; there's also a recce report here. Picos de Europa web pages here. Our brochure has been posted and is hitting doormats. Two notes about this. Though on this website, our new Peloponnese holiday was fully booked before the brochure was finalised, so is not in the brochure. 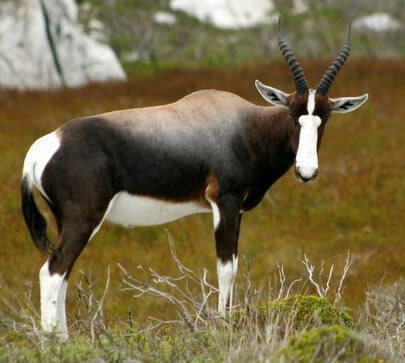 Secondly, South Africa holidays: Kruger National Park is in the brochure and we also plan to run South Africa's Garden Route in our coming winter, 27 January – 11 February 2012. 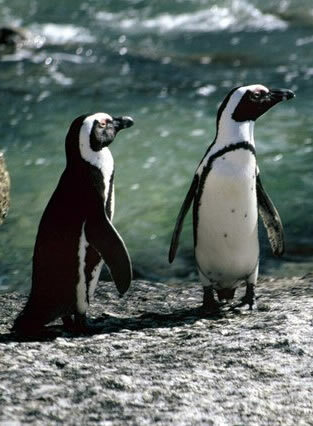 We already have three takers for the Garden Route, details for which are on this website, but not in the 2012 brochure. Tarifa & Gibraltar A new holiday, new leader and new base, creating lots of new experiences for the first Honeyguide group in Tarifa in southern Spain during the second week of September. Everything was possible – right down to sumptuous picnics – due to the knowledge and contacts of local man Frank Vargas. Huerta Grande's informal set-up and home cooking in the cool setting of a wooded glade contributed to a memorable week. The visit was timed for migration, and the sky was busy with birds. Right from our arrival, almost everywhere you could look up and booted & short-toed eagles, black kites and vultures were drifting south. 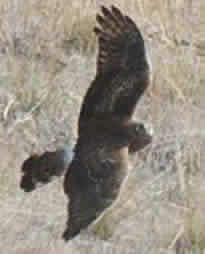 A steady trickle of honey buzzards were not far from eye level at the top of the Rock of Gibraltar. As well as raptors, there was a thermal of about 1,000 white storks (pictured, right) and daily groups of bee-eaters. Other highlights included a ringing demonstration by local group GOES (left, Cetti's warbler, and more pictures here), long-finned pilot whales under the ship's prow on our whalewatching trip (centre) and two-tailed pasha butterflies in Gibraltar (right). The 2012 brochure is being posted (updated 23 September) and holiday dates are on our calendar web page, useful especially if you'd like to join the growing number of people pencilled in for next year. I don’t usually write about family holidays, but thought I’d share some wildlife pictures from the Isle of Wight. Chinery says that the Jersey tiger moth (we saw several) is confined to Devon but this is out of date: as well as the Isle of Wight there are even some in London (UK Moths). Wall lizards are familiar to Honeyguiders from Europe but in the UK only as introductions in some scattered south coast localities. The population in Ventnor is said to stem from a 19th century introduction, though that is disputed. Left to right: Jersey tiger, stemless thistle, ramping fumitory, model of Glanville fritillary. Below: wall lizard in Ventnor. All photos in the first week of August, 2011. Feedback from Bulgaria included excellent leaders in Assen and Vlado, comfortable and friendly hotels, wonderful flowers and a profusion of butterflies on an itinerary that's a bit tough but rewarding. Wallcreepers showed well in Trigrad Gorge, including a male feeding a female, and a highlight for one group member was excellent views of a nutcracker, near our hotel in the Western Rhodopes. 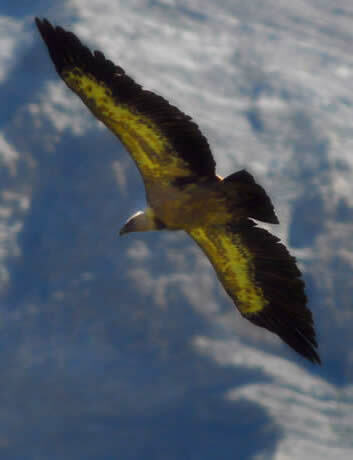 Birds of prey included eastern imperial eagle, long-legged buzzard, a booted eagle taking a suslik and three vulture species - griffon, black and Egyptian - at the feeding station in the Eastern Rhodopes. "It wasn’t long before a great cloud of white pelicans came into view, the sun shining brightly on their wings as they circled together, looking for a good place to fish. They were one of the great Delta spectacles - a most impressive sight, wheeling to and fro. More herons and egrets appeared, including some night herons with darker backs, only recently fledged. Then great white egrets, glossy ibis, and squacco - the first of many. Pygmy cormorants flew quickly by in small flocks, and a kingfisher gave a wonderful display right in front of us. The number of birds was simply breathtaking." 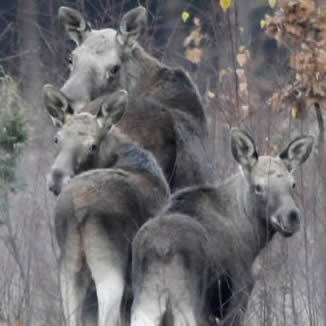 Those who went onto the Carpathians saw a wolf as well as up to nine brown bears from the safety of the hide at dusk. I have recently returned from the French Pyrenees (writes Chris) Individual highlights here are difficult to list: the appeal is the mix of floral richness of the meadows and banks, butterflies like Apollo, regular sightings of griffons and lammergeiers, all in perhaps the most glorious scenery in Europe. Mouthwatering food in the newly refurbished Hotel La Brèche de Roland was a bonus. We plan to return in September next year. It was twenty years ago today ... part 2! The second of the two Honeyguide holidays in our first season, 1991, was 'Birds and flowers in the Lot', France. Our venue, Maison Meulet, changed ownership during the week we were there, but that didn't affect a successful holiday with a rich mix of flowers, butterflies and birds that we enjoyed here for 10 years. The holiday report has been scanned and is on the archive reports page of the website. Left to right: bontebok, African penguins, fire heath and Cape weaver (Geoff Crane). All from South Africa's South Western Cape. See news item, right. Cretan flora through a macro lens is written by Honeyguider Phil Brew and illustrated with his photos. There's also a link to view more than 200 of his excellent photos, which three of us have had fun going through to confirm what they all are. Please contact us if you disagree with any IDs! The Norfolk Cranes' Story book, co-written by John Buxton and Honeyguide's Chris Durdin, is at printer's proof stage, so out soon. Read more here. 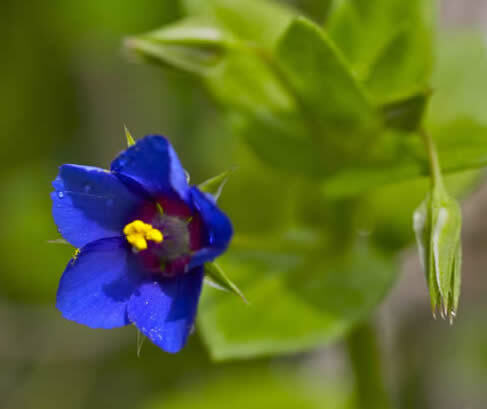 Left to right: honeywort, widow iris and scarlet pimpernel (blue-flowered form). The Poland holiday was a great success, despite some mixed weather, writes Ian Barthorpe. The group of 11 and first-time leader Ian joined holiday leader Artur Wiatr and an honorary Honeyguider who had booked directly with Artur. 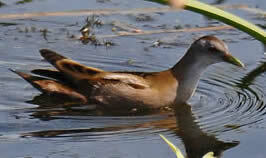 Everyone enjoyed a superb mix of birds, insects and flowers surrounded by stunning wetlands and forests. An undoubted highlight was an evening spent on a boardwalk across Biebrza marshes with a stunning sunset, listening to aquatic, Savi's and grasshopper warblers, as a male Montagu's harrier patrolled back and forth and a huge elk wandered lazily across the marshes towards us. A lunch stop spent watching at least ten white-tailed eagles fishing ran it a close second, as did seven species of woodpeckers and four flycatchers before breakfast in Białowieża Forest. Everyone also enjoyed the fabulous lady's slipper orchids which are already benefiting from management work supported by last year's Honeyguide holiday. Lef to right: flooded forest, lady's slipper orchid, and John Durdin (blue jacket) in his 21st season as a Honeyguider (Artur Wiatr). Honeyguider David Nind, with the Camargue group, says they had another memorable Honeyguide week with leaders Robin & Rachel Hamilton. "Eight memorable days based in a charming French family-run hotel, despite being called the Hotel Robinson! We met up with old Honeyguide friends and met some new ones. 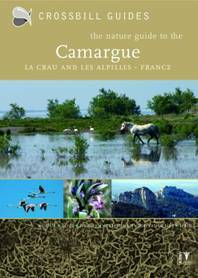 We visited three very different habitats in the Camargue-Crau-Alpilles region, each of which provided us with a wonderful variety of lovely birds, butterflies, insects and flora. In the étangs of the Camargue we saw hundreds of flamingoes, with memorable views of adults feeding in the lagoons, and their breeding colony, a mass of white and pink, close to nearby salt pans and 'mountains' of extracted salt. Later in the week, a short, early evening drive from our hotel provided us with a view of an eagle owl that was almost too good, if that is possible! 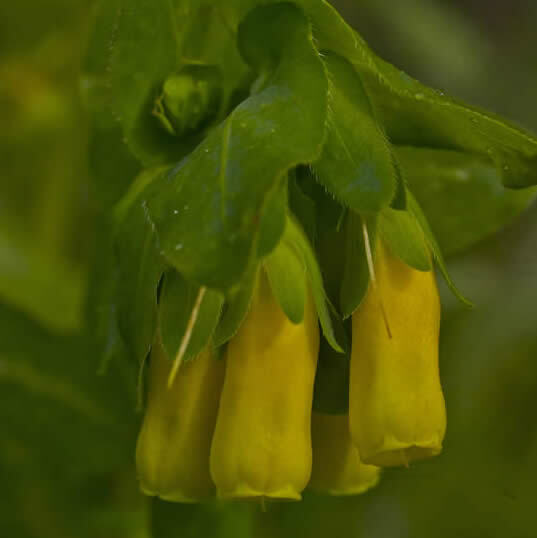 "In the unusual, semi-desert area of La Crau we saw plants such as dwarf evax and spurges, many of which supported the multi-coloured caterpillars of the spurge hawk-moth. There were larks, tawny pipit, nesting lesser kestrels and, eventually, a stone-curlew, standing motionless and beautifully camouflaged. In the Alpilles we drove to the fortified town of Les Baux and on our walk from the town encountered numerous butterflies including scare swallowtail, swallowtail, false ilex hairstreak, western marbled white and chalkhill blue. "A highlight was the visit to Pont du Gard. At this World Heritage Site we also saw a golden eagle, nesting crag martins, alpine and common swifts among many other birds; and, for us, a lovely view of a Cleopatra butterfly on a bugloss. On our final day we visited the reserve at Scamandre where egrets (cattle, little and great white), herons (grey, purple, night and squacco) and glossy ibises appeared to be flying everywhere. Each night we ate splendidly on the terrace of the hotel under the welcome shade of a plane tree." It was 20 years ago today ... you may recognise the opening line to the Beatles' Sgt Pepper's Lonely Hearts Club Band, but more the point, it is 20 years since Honeyguide's first wildlife holiday. To be precise, that was 24 April to 3 May 1991, the venue Berdún in the Spanish Pyrenees. By happy coincidence a group of seven regular Honeyguiders has just returned from there, having flown out on the Friday when most of the rest of the world was watching the Royal Wedding. They stayed at Casa Sarasa, rather than the Painting School that we used for many years, but the charm of the Pyrenees remains undimmed; golden orioles, golden eagles, golden-billed alpine choughs ... they were waxing lyrical on their return. Helen Crowder tells more here. My strongest memory is of snow in Berdún on 26 April 1991. That was partly as it was my birthday, but also we'd extended the busy Painting School's season earlier, albeit just by a week, and it was crossing my mind that maybe that was a mistake. But the snow was genuinely exceptional, we changed the plan and headed south to Riglos where, unusually, there was an alpine accentor. Driver José put chains on the bus to take us over a low mountain pass. A wise group member advised me not to feel responsible for the surprising weather; happily the snow was short-lived, the holiday went well and so it all started. For the full story, the holiday report has been scanned and is on the website here. Departures: he wasn't a Honeyguider, in the sense of being a traveller, but Roger Jordan, who died in early April, was certainly one of the Honeyguide Wildlife Charitable Trust's best friends. With his friends in the Chelmsford area in the Wildlife Outreach Network, they raised funds "where a little money goes a long way", as Roger put it, choosing to support about three Honeyguide projects a year in addition to others, mostly in the developing world. These top-ups to our donations, £200 here or £300 there, had reached £4,700 by the end of last year. Honeyguide's conservation donations in March and April have taken us over the £70,000 mark. New threat to birds from wireless technology ... something we should worry about today, 1 April. The recent group in Extremadura struck lucky with some glorious spring weather in Spain. The bustards, vultures, Spanish imperial eagles and other famous Extremadura species all showed well, but so did smaller birds including daily hawfinches at Finca Santa Marta, lesser spotted woodpeckers and red-rumped swallows (below). Hill (or fan-lipped) orchid (right) was new for this holiday, and nettle-tree, Spanish festoon and other butterflies showed well. Just seven of the 80,000 cranes that winter were lingering: the plan is to return in February next year when they are there in force. 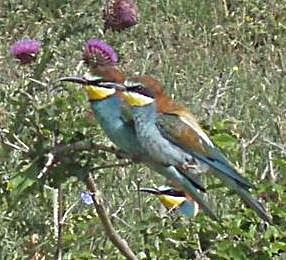 SEO/BirdLife Spain is €630 better off for our visit. Continuing with this donations theme, the Honeyguide Wildlife Charitable Trust increasingly receives donations additional to those through the holidays which, naturally, are very welcome. It's not vital but for anyone who wishes to do this there is a donations form on the Honeyguide Charity web page which may help you; it also captures your intentions and Gift Aid details. Honeyguide promotion online: "Half the money I spend on advertising is wasted; the trouble is I don't know which half." I knew the quote but had to look it up to find it was said by John Wanamaker, US department store merchant. We don't do a great deal of advertising, as it happens, and in print it seems to be increasingly ineffective, which has prompted an experiment in online adverts. You can see these above right. They will be appearing - sporadically, it's the way it works - on sites like BirdLife International, Fatbirder, Surfbirds and BirdGuides. The best advertising, of course, is word of mouth (more please! ), and internet searches seem to be increasingly a way Honeyguide is found. 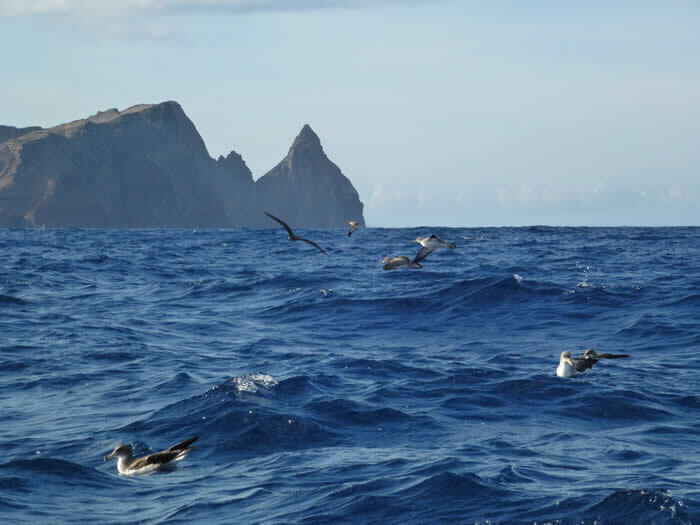 Madeira donation: after the massive forest fire last summer, which killed several breeding adults and 65% of last year’s chicks of Zino’s Petrel, Europe's rarest seabird, there were generous donations through the Honeyguide Wildlife Charitable Trust. Topped up with Gift Aid, we raised £288 for Dr Zino and his team, working at the sharp end for Zino's petrel conservation in Madeira. This has been sent to British Antarctic Survey, which supplies dataloggers that gather vital information on the movements of Zino’s Petrels at sea. More here, including a link to a presentation on the petrels by Honeyguide leaders on Madeira, Catarina and Hugo, given to the seventh Iberian Congress of Seabirds in Bilbao in October/November 2010. Does the idea of a holiday in September in southern Spain and Gibraltar appeal to you? 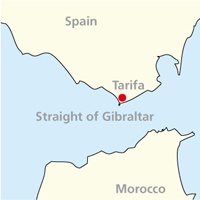 The Strait of Gibraltar is one of the busiest migration points in western Europe. During autumn migration, large numbers of birds gather and move through the Tarifa area of Andalucia. We think this could make a very good new wildlife holiday. The idea is a week's holiday in Tarifa (Spain) and Gibraltar 7 – 14 September 2011, timed to coincide with bird of prey migration, and also potentially good for cetaceans in the Straight of Gibraltar/Algeciras Bay. Read more on our new Tarifa web page. If there's enough interest, we could run this holiday this year, or put it in next year's brochure (2012), or do both. That depends on what Honeyguiders think. Right now we are floating the idea, and we will firm up on the details if there's an enthusiastic enough response. 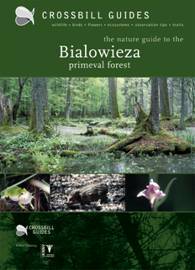 Recommended reading for many holidays are the Crossbill nature guides - such as these three. WildGuides has generously offered Honeyguiders and visitors to our website the opportunity of obtaining these valuable guides at a 10% discount, plus free carriage. More information here. March 2011: Crossbill Guide to Extremadura, 2nd edition, is out. It's been an exceptionally cold December in the UK, as you know. The same is true in Poland where Honeyguide’s host and leader, Artur Wiatr, tells me it dropped one night to –26°C. On a new Poland in Winter web page, Artur explains how bisons and grey partridges survive the cold and he explains why the bird in the picture (right) is the one he most associates with Christmas. We also have a new web page of news from Bulgaria, thanks to Dimiter Georgiev who runs Neophron, our hosts there. In Bulgaria News, January 2011, he tells how after 18 years of absence, the globally threatened pygmy cormorant is breeding again in the Bourgas Lakes on Bulgaria's Black Sea coas at the BSPB's Poda Nature Reserve. Dimiter also explains how Honeyguide's funding has supported ecological training for young people and the results of the autumn's BSPB count of the roosting griffon vultures in the Eastern Rhodopes. I counted up and found that a private party – friends and regular Honeyguiders – in 2011 will be our 17th group in Berdún in the Spanish Pyrenees. Most of these were based at the Painting School, and since that closed we stay at Casa Sarasa, which has a spendid new website www.casasarasa.com. Honeyguide's new Berdún web page offers some ideas that Peter Rich is developing, including photography courses and walking parts of the Camino de Santiago in the foothills near Berdún. It may well be that there aren't many Honeyguiders who haven't been to the area and these will strike a chord for a return visit. 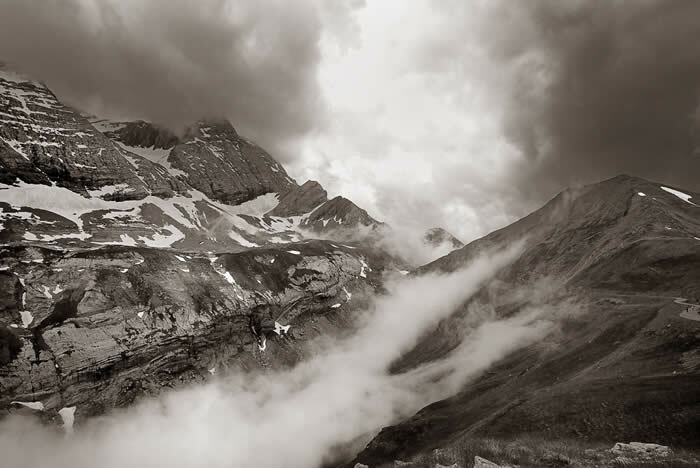 Casa Sarasa, our base in the Spanish Pyrenees, on Aragón TV here. The programme lasts 25 minutes and is in Spanish. ... and a long-stay green-winged teal. All from our holiday in November 2011. 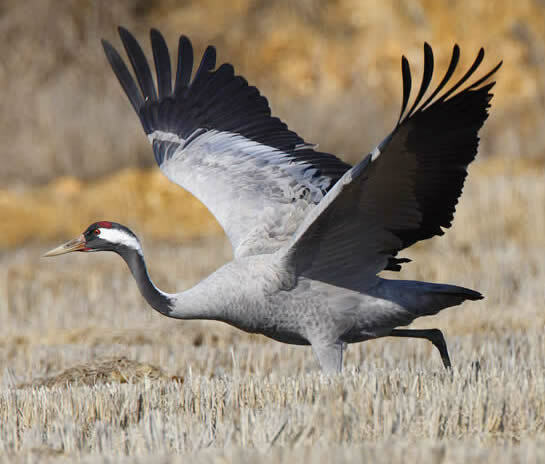 In Extremadura, the winter cranes have arrived. Martin Kelsey writes: "Autumn is marked by the arrival of the common cranes, which in their own way transform the landscape, or rather soundscape, with their gorgeous and evocative trumpeting an almost constant sound whenever one is close to the their feeding and roosting areas." More in Martin's blog or come with us to see them next February. 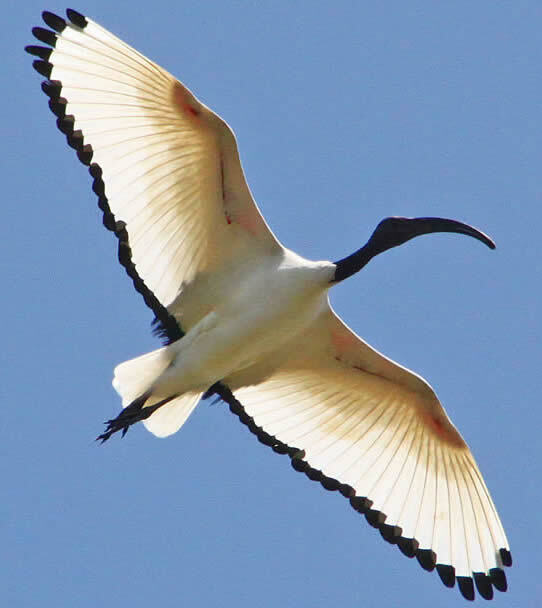 The Norfolk Cranes' Story book by John Buxton and Honeyguide's Chris Durdin. Reviews, news and how to order here. Sandhill crane in Suffolk (and elsewhere). Anglia TV clip here (filmed 3 October 2011), with interview by Honeyguide's Ian Barthorpe. Read Ian's blog here. 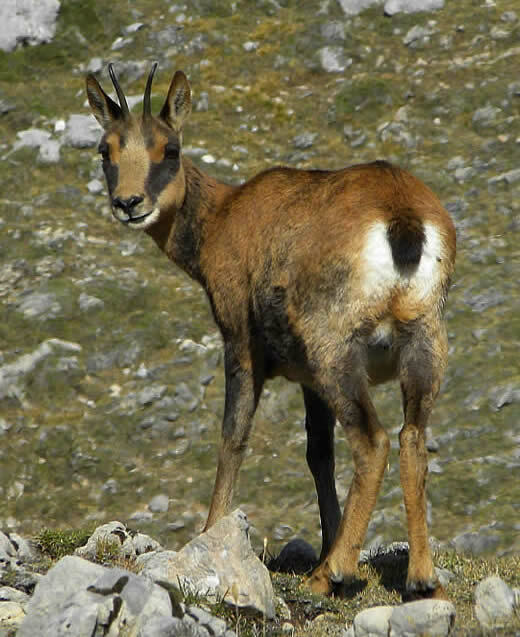 Above: southern chamois Rupicapra pyrenaica subsp parva. This and dipper (left) by Teresa Farino. The greater honeyguide – our logo bird – has essentially a favourable press for leading honey badgers and people to bees' nests and honey supplies. But it has a darker side, as a brood parasite (like a cuckoo): read Honeyguide chicks stab their foster siblings to death with hooked bills from Discover magazine. Extremadura TV was at the Birdfair at Rutland Water in August. Their programme 'Un cielo de aves' (A sky of birds) lasts 36 minutes. 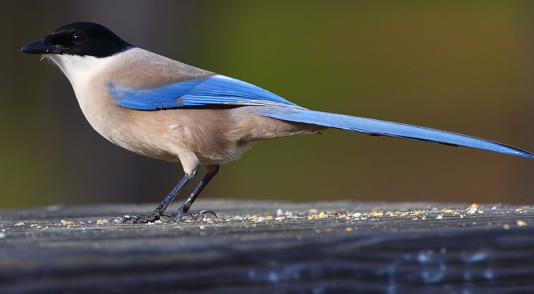 Birds and scenery feature and there are interviews from travellers and tour operators, including Honeyguide's Chris Durdin, explaining why we like Extremadura, and by implication why the wildlife deserves protection. View it here. There are now ten colourful holiday reports from this spring / early summer on the holiday reports web page, with others in the pipeline. Also new on the website is a certificate and other information about our carbon credits for 2011. Chalkhill blue on self-heal, Isle of Wight. Early August is too late for Glanville fritillary - after red squirrel probably the Isle of Wight's star species- so this, left, is a model at the Blackgang Chine amusement park. Honeyguide Charitable Trust accounts: our most recent accountants' report is published (here) for the financial year from October 2009 to September 2010. They show £5,214 going towards the conservation projects we support, a bit down on the previous year because of holidays lost due to volcanic ash and an air traffic control strike. The sum raised since then is £5,494, bringing our running total of conservation donations to £72,591. 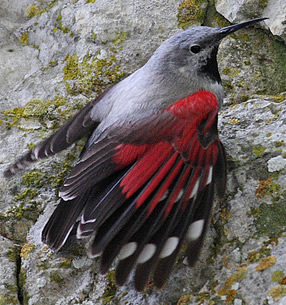 Wallcreeper (Svetoslav Spasov) - seen for the fourth successive time in Bulgaria. 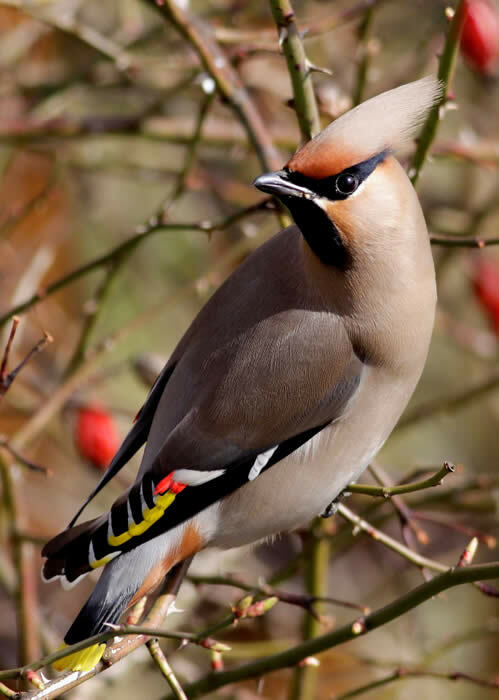 The Salisbury & District Natural History Society in the Cévennes enjoyed the magnificent scenery of this little-known region of France, and an eclectic programme that linked its spectacular wildlife to its geology, history and even gastronomy. Bird highlights included a close-range flypast by dozens of griffon vultures, plus these and black vultures at their nests, Bonelli’s and short-toed eagles, Montagu’s and hen harriers, and a nightingale that sang brilliantly every night in our hotel garden. 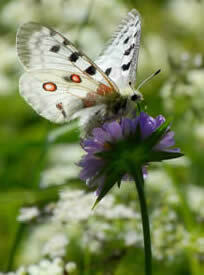 Butterflies were abundant, notably southern white admiral and cardinal, most gorgeous of all the fritillaries. 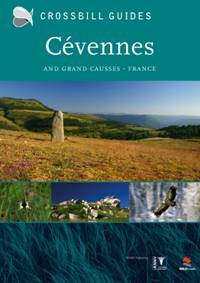 There had been an early spring and the season was well advanced, so the rocky hillsides and meadows of the Causses were exceptionally colourful, sparkling with a rich profusion of flowers, including several exciting and rare Cévennes and Causse endemics. 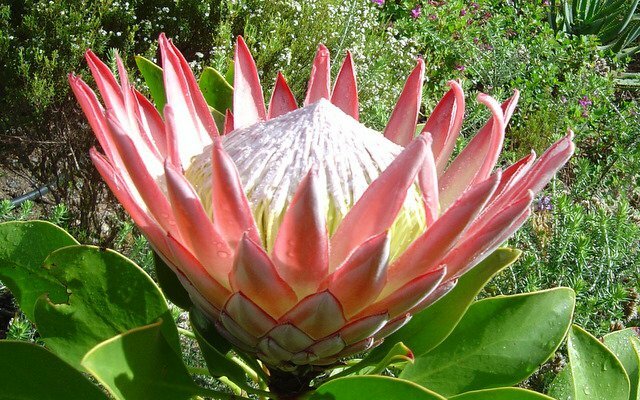 Autumn holidays: there are still places on our holiday to South Africa's South Western Cape and just one place on Madeira; Tarifa is now fully booked. Geoff Crane in South Africa says, "We have had some very good rains here at the Cape and all indicators point to a great flower season." As well as the photos on our own South Africa pages, there are many more photos of the South Western Cape on Geoff Crane's Facebook page here - some highlights below and opposite. 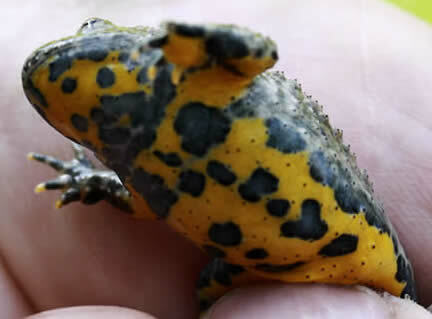 Fire salamander and yellow-bellied toad (Mike Poulton). There is a write-up of part of the holiday on Paul Tout's blog from Istria. Some of Honeyguider Brennan Aunger's photos from the Istria holiday are here. I have toyed with the idea of visiting the Dordogne at a slightly different time to see how the wildlife varies, and in practice that's what happened this year on account of the long dry winter and hot early spring. 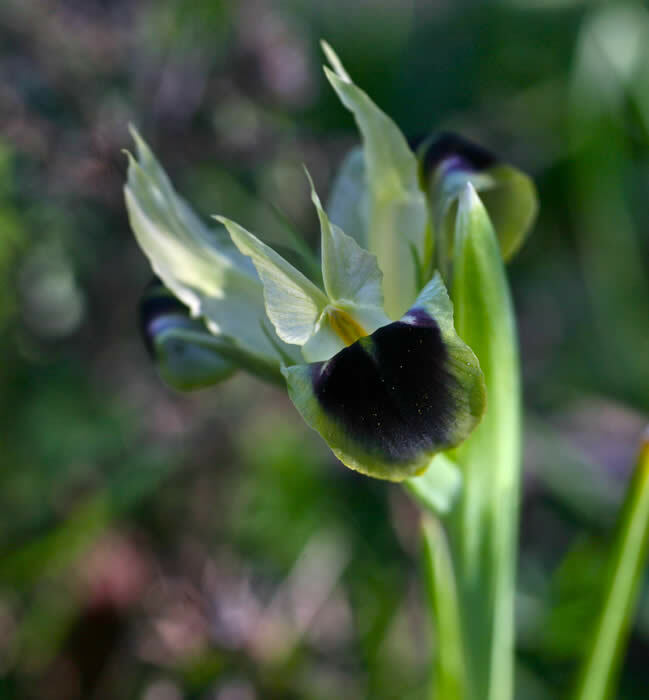 For orchids, there were many red helleborines for the first time (there's a picture towards the bottom of our Dordogne orchids web page) and lots of lizard orchids in flower, replacing gone-over early spider and green-winged orchids. Marbled fritillary was a new butterfly. The range of birds was much as expected, with particularly vocal wrynecks and black woodpecker for a second year, including close to Castang. Black woodpecker in the Dordogne, photographed by Bruce Bennett in May 2010. Volcanic ash: with echoes of the six-day shut down of flights in April 2010, we are following closely the impact of the latest Icelandic volcanic ash episode. The NATS website (air traffic control) is the one to watch. One of our Poland group flew back to Scotland just before airports were closed there; a group in the Camargue, France was able to return home without ash problems; three groups are away now (in early June) in Bulgaria, the Cévennes and Danube Delta. There are no changes to travel plans at the moment. 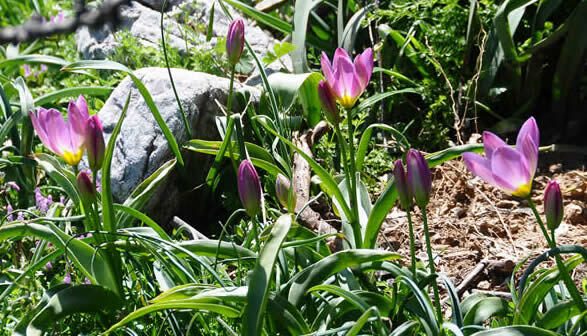 After a wet winter, the flowers in Crete were brilliant, including tulips at Spili and the Omalos plateau, 23 orchid species and colour everywhere. We were lucky enough to see lammergeiers each of three times we stopped in Kourtaliótiko gorge, with Bonelli's eagle there too, and stunning close views of both little and Baillons' crakes at Ayia reservoir. Our Menorca holiday with Chris Gibson also went well, with colourful April flowers and close views of purple gallinules and many other resident birds. 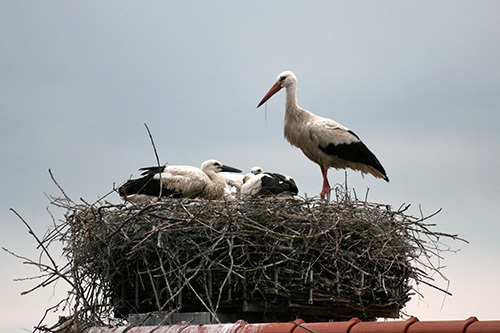 Stork webcam: the stork is back in front of the webcam near Honeyguiders Karin and Brennan in Markt Schwaben, Germany. With the busy holiday season here, it's worth a reminder to look at booking airport accommodation or parking through Holiday Extras. Telephone 0871 360 2419 quoting HX132 to identify you as Honeyguide, or click on the link on the booking page to book or for current prices. 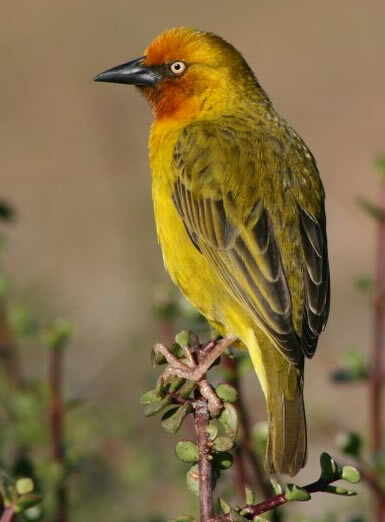 Honeyguide supports second South African Bird Atlas Project. News about our support for SABAP2 though our Kruger holiday - £610 from Honeyguide, with an additional donation of R6,000 from Crane's Cape Travel - is on the SABAP2 website or go straight to the account here. 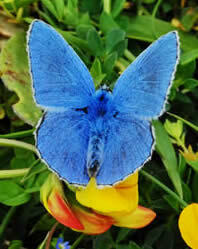 New Nature notes for BBC Radio Norfolk web page, featuring March flowers, Mediterranean gulls and more. 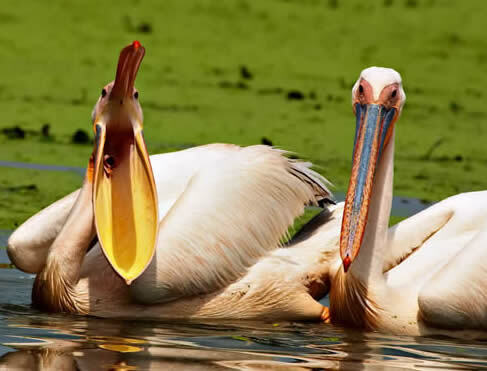 Protecting the Jewel of the Danube Delta: a recent (February 2011) blog from the RSPB with news that the European Commission has given the Romanian Government a final warning over damaging tourist development on the Danube Delta coast. A red-necked phalarope seen at Kalloni Saltpans by last September's Lesvos group was accepted by the Lesvos rarities committee. Full Lesvos Birds 2010 annual bird report here. Update, 4 March: 12 are booked, so we're up and running for 2011, with space for two more. It'll probably run in September 2012, too. The answer my friend, is blowin' in the wind. Or rather, more than just the answer. Try this (with thanks to Keith from Castang). "Why Honeyguide?" There's now a link on our 'About us' page to a YouTube clip where David Attenborough, no less, relates the Greater Honeyguide's story - like us, a partnership between people and wildlife. "Follow me," says Sir David ... worth a look.